Below are all of the Emergency Food Programs provided through Food Pantries and Soup Kitchens in Ridgefield, New Jersey and surrounding cities that I have located. * Note: If you are searching for Ridgefield Food Banks - Food banks are distribution hubs. They supply the food to the Soup Kitchens, Food Pantries, Shelters etc. They in turn provide that food to the individuals that need it. Food Banks do not directly serve individuals in need. The Salvation Army - Ridgefield Park Unit is a food pantry. . * Make sure you check by calling the food pantry to confirm that they still are in operation and the hours as the hours have not changed. Cliffside Park Welfare Department is a food pantry. . * Make sure you check by calling the food pantry to confirm that they still are in operation and the hours as the hours have not changed. We are a food pantry that operates every second and fourth Saturday of the month. From 8 a.m. to 1 pm. We are open for lunch every Saturday at noon. St. Joseph Food Pantry is a food pantry. . * Make sure you check by calling the food pantry to confirm that they still are in operation and the hours as the hours have not changed. Episcopal Charities Provides Funding And Support To A Broad Range Of Community-Based Human Service Programs Throughout The Diocese Of New York. These Programs, Affiliated With Episcopal Congregations, Serve Disadvantaged Individuals, Youth And Families On A Non-Sectarian Basis. Buddies Of New Jersey Inc.
Buddies Of New Jersey Inc. is a food pantry. . * Make sure you check by calling the food pantry to confirm that they still are in operation and the hours as the hours have not changed. Hamilton Grange Senior Citizen Ctr. Food Pantry: Mon-Thurs 10am - 2pm, Friday 10am - 12pm No Soup Kitchen at this location. Secaucus Food Pantry is a food pantry. . * Make sure you check by calling the food pantry to confirm that they still are in operation and the hours as the hours have not changed. Serving residents of New Jersey, Every 2nd and Last Thursday of every Month 5:30 Food is donated by NJ FOODBANK and when available kids clothing, diapers, baby food, shoes. Palisades Emergency Residence is a food pantry. . * Make sure you check by calling the food pantry to confirm that they still are in operation and the hours as the hours have not changed. Youth Action Programs and Homes, Inc.
Our Mission Is To Stamp Out Hunger In Our Community, We A Group Of Volunteers That Assist From The Cooking To The Food Packaging And Distribution. WHEDCo - Women's Housing and Econ. Dev. Corp. Shelter, Soup Kitchen: 9:30 AM Brunch everyday except Friday. ID for shelter, walk in for brunch. 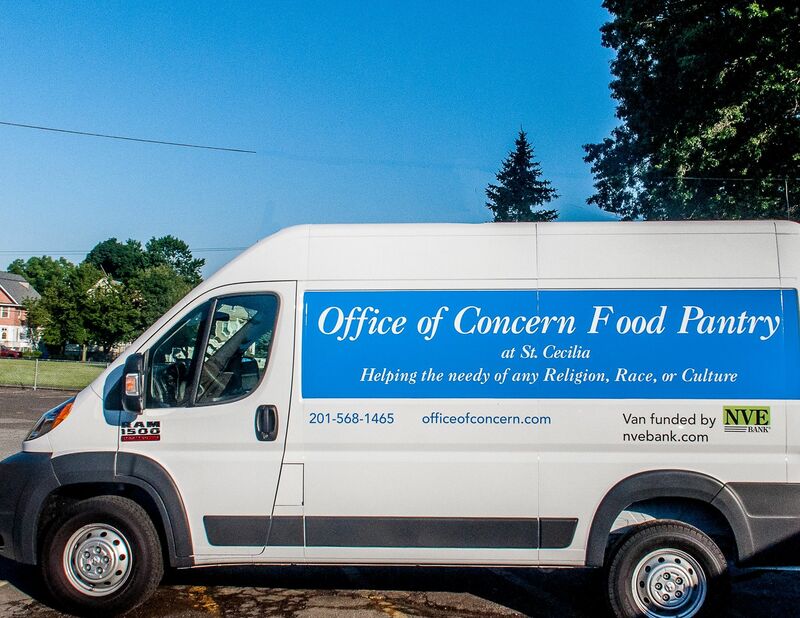 Center For Food Action in NJ is a food pantry. . * Make sure you check by calling the food pantry to confirm that they still are in operation and the hours as the hours have not changed. Neighborhood Supper on Saturdays, 5:15 pm - 6:00 PM. The program is run by volunteers that are affiliated with The Church of the Holy Trinity. St. Joseph and Michael Church is a food pantry. . * Make sure you check by calling the food pantry to confirm that they still are in operation and the hours as the hours have not changed. Rutherford Community Food Pantry, Inc.
Rutherford Community Food Pantry, Inc. is a food pantry. . * Make sure you check by calling the food pantry to confirm that they still are in operation and the hours as the hours have not changed. 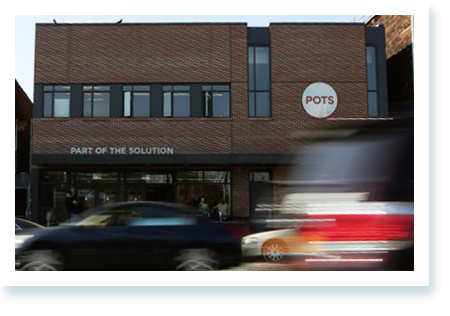 St. Edmunds Youth Programs, Inc.
Hunts Point Multi Service Ctr. St. Augustine Food Pantry and Clothing Dist. City Harvest Exists To End Hunger In Communities Throughout New York City. We Do This Through Food Rescue And Distribution, Education, And Other Practical, Innovative Solutions. Reuth Women'S Social Service For Israel, Inc. The Mission Of The Holy Apostles Soup Kitchen Of The Church Of The Holy Apostles Is To Feed The Hungry, To Seek Justice For The Homeless, And To Counsel And Provide A Sense Of Hope And Opportunity To Those In Need. Our Vision Is Guided By Our Passionate Dedication To The Healing Mission Of Our Congregation. Our Hope-Filled Vision For The Future Of The Foundation Is That It Will Generate The Resources Needed To Support Ministries That Promote And Perpetuate The Compassionate Healing Of People And The Earth. New Alternatives For Children, Inc.
Los Redimidos Por La Sangre de Jesu Cristo, Inc. The Mission Of The Hoboken Shelter Is To Be A Community Partnership That Transforms Lives By Providing Meals For The Hungry, Shelter For The Homeless, And Services To Support People To Become Housed. 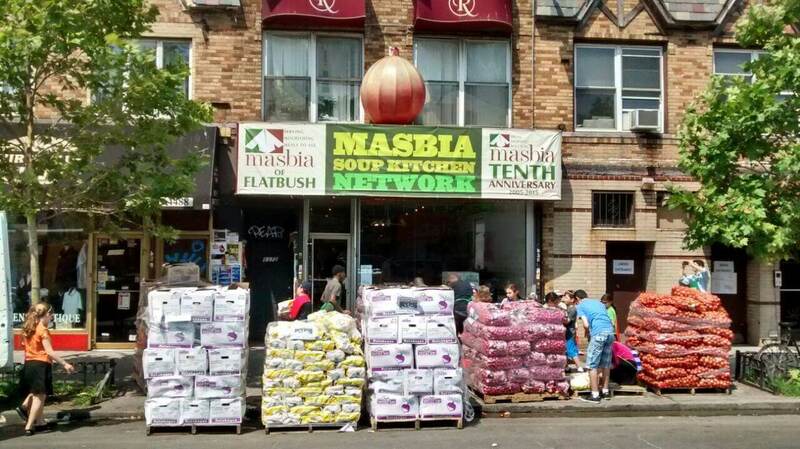 The Mission Of The Food Bank For New York City Is To End Hunger By Organizing Food, Information And Support For Community Survival And Dignity. St. Mary Church is a food pantry. . * Make sure you check by calling the food pantry to confirm that they still are in operation and the hours as the hours have not changed. St. Peter's Haven is a food pantry. . * Make sure you check by calling the food pantry to confirm that they still are in operation and the hours as the hours have not changed. Food Pantry Tue: 10am - 11am (once a month) The Food Pantry is run by parishoners (All volunteer-based). Food Pantry Hours: Mon-Fri from 9 am to 4 pm. Call first to find out if we have food to distribute. Soup Kitchen Hours: Saturdays only from 8 am to 2:30 pm continental breakfast and hot midday meal and sides with dessert. American Red Cross - Nutley is a food pantry. . * Make sure you check by calling the food pantry to confirm that they still are in operation and the hours as the hours have not changed. University Community Social Services, Inc.
FP Mon-Friday: 12pm - 2pm Foundation House South is a 6 month transitional housing program. Riverside Assembly Of God is a food pantry. . * Make sure you check by calling the food pantry to confirm that they still are in operation and the hours as the hours have not changed. Little Zion U.A.M.E. Church is a food pantry. . * Make sure you check by calling the food pantry to confirm that they still are in operation and the hours as the hours have not changed. Soup Kitchen in a homeless shelter. Food Pantry Tuesday, Thursday, Friday 8-11 a.m.
St. Boniface Church is a food pantry. . * Make sure you check by calling the food pantry to confirm that they still are in operation and the hours as the hours have not changed. East Moriches United Methodist Church is a food pantry. Food pantry service hours: Thu 12 - 1pm. . * Make sure you check by calling the food pantry to confirm that they still are in operation and the hours as the hours have not changed. New York City Coalition Against Hunger, Inc.
Grandparent Relatives Care Resource Center, Inc. of Paterson is a food pantry. . * Make sure you check by calling the food pantry to confirm that they still are in operation and the hours as the hours have not changed. Madison Park United Methodist is a food pantry. . * Make sure you check by calling the food pantry to confirm that they still are in operation and the hours as the hours have not changed. Hispanic Multipurpose Center is a food pantry. . * Make sure you check by calling the food pantry to confirm that they still are in operation and the hours as the hours have not changed. 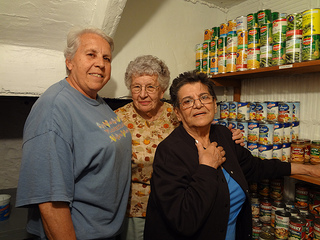 Our Lady Of Sorrows Church provides a food pantry. * Make sure you check by calling the food pantry to confirm that they still are in operation and the hours as the hours have not changed. St. Paul's Community Corporation is a food pantry. . * Make sure you check by calling the food pantry to confirm that they still are in operation and the hours as the hours have not changed. Madison Avenue Crossroads Community is a food pantry. . * Make sure you check by calling the food pantry to confirm that they still are in operation and the hours as the hours have not changed. We have opened our Food Pantry Program to help the needs of the families in our area, We look forward to serving our community. Please call for dates and times our pantry will be open. Friends Of Lifers Youth Corporation is a food pantry. . * Make sure you check by calling the food pantry to confirm that they still are in operation and the hours as the hours have not changed. Christian Fellowship Center is a food pantry. . * Make sure you check by calling the food pantry to confirm that they still are in operation and the hours as the hours have not changed. Breakfast 8:30am - 10am Lunch 12pm - 1pm Snacks 1pm or 2pm For HIV clients. Must go through intake to receive meals. Iglesia Christiana Pentecostal is a food pantry. . * Make sure you check by calling the food pantry to confirm that they still are in operation and the hours as the hours have not changed. Black Forum of Coop City, Inc.
Creech Temple Church is a food pantry. . * Make sure you check by calling the food pantry to confirm that they still are in operation and the hours as the hours have not changed. St. Michael's Church is a food pantry. . * Make sure you check by calling the food pantry to confirm that they still are in operation and the hours as the hours have not changed. Bethel Church Rehoboth Ministries is a food pantry. . * Make sure you check by calling the food pantry to confirm that they still are in operation and the hours as the hours have not changed. Bloomfield Presbyterian Church On The Green is a food pantry. . * Make sure you check by calling the food pantry to confirm that they still are in operation and the hours as the hours have not changed. Cumac/Echo is a food pantry. . * Make sure you check by calling the food pantry to confirm that they still are in operation and the hours as the hours have not changed. New A.M.E. Zion Church is a food pantry. . * Make sure you check by calling the food pantry to confirm that they still are in operation and the hours as the hours have not changed. All People Church of Apostolic Faith, Inc. The Apostle's House is a food pantry. . * Make sure you check by calling the food pantry to confirm that they still are in operation and the hours as the hours have not changed. C.A.S.A.- Social Services is a food pantry. . * Make sure you check by calling the food pantry to confirm that they still are in operation and the hours as the hours have not changed. First Baptist Church in Pierrepont St.
To Create A Resource For Healing, Feeding And Building Community. New Christian Missionary Baptist Church is a food pantry. . * Make sure you check by calling the food pantry to confirm that they still are in operation and the hours as the hours have not changed. The Salvation Army - Newark (Central) is a food pantry. . * Make sure you check by calling the food pantry to confirm that they still are in operation and the hours as the hours have not changed. All People Church of Apostolic Faith Inc.
North Side Food Pantry is a food pantry. . * Make sure you check by calling the food pantry to confirm that they still are in operation and the hours as the hours have not changed. St. John'S Bread And Life Program, Inc. In Addition To Food, We Give Clients Access To Medical/Legal Referrals, Aids Counseling, Assistance With Housing, Food Stamps And Employment Options. Paterson Avenue UMC Pantry is a food pantry. . * Make sure you check by calling the food pantry to confirm that they still are in operation and the hours as the hours have not changed. New Hope Baptist Church Pantry is a food pantry. . * Make sure you check by calling the food pantry to confirm that they still are in operation and the hours as the hours have not changed. Renaissance Church Of Newark is a food pantry. . * Make sure you check by calling the food pantry to confirm that they still are in operation and the hours as the hours have not changed. Communion Fellowship Ministries is a food pantry. . * Make sure you check by calling the food pantry to confirm that they still are in operation and the hours as the hours have not changed. Bridgeway Community Church Food is a food pantry. . * Make sure you check by calling the food pantry to confirm that they still are in operation and the hours as the hours have not changed. Roseville Presbyterian Church is a food pantry. . * Make sure you check by calling the food pantry to confirm that they still are in operation and the hours as the hours have not changed. Positive Health Care Inc. is a food pantry. . * Make sure you check by calling the food pantry to confirm that they still are in operation and the hours as the hours have not changed. The Salvation Army - Montclair is a food pantry. . * Make sure you check by calling the food pantry to confirm that they still are in operation and the hours as the hours have not changed. St. Barnabas Aids Resource Center is a food pantry. . * Make sure you check by calling the food pantry to confirm that they still are in operation and the hours as the hours have not changed. Isaiah House is a food pantry. . * Make sure you check by calling the food pantry to confirm that they still are in operation and the hours as the hours have not changed. Food Pantry: Once a Month. Call for hours and eligibility. St. Bridget Support Center is a food pantry. . * Make sure you check by calling the food pantry to confirm that they still are in operation and the hours as the hours have not changed. Manna Ministries - The Church of God Seventh Day (Pentecostal ) Inc. Chance for Children Youth Information Ctr. Integrity, Inc is a food pantry. . * Make sure you check by calling the food pantry to confirm that they still are in operation and the hours as the hours have not changed. North Jersey Community Research Initiative is a food pantry. . * Make sure you check by calling the food pantry to confirm that they still are in operation and the hours as the hours have not changed. New Community Family Comfort Program-NCC is a food pantry. . * Make sure you check by calling the food pantry to confirm that they still are in operation and the hours as the hours have not changed. East Orange Community Development Corporation is a food pantry. . * Make sure you check by calling the food pantry to confirm that they still are in operation and the hours as the hours have not changed. St. Ann's Church Food Pantry is a food pantry. . * Make sure you check by calling the food pantry to confirm that they still are in operation and the hours as the hours have not changed. DISTRIBUTION EVENTS ARE HELD EVERY 2ND & 4TH SATURDAYS EACH MONTH. PLEASE BRING PROOF & PROPER I.D. TO REGISTER! Door to Life Ministry Inc.
Sanctified Church of God Inc.
House Of Prayer C.O.G.I.C. is a food pantry. . * Make sure you check by calling the food pantry to confirm that they still are in operation and the hours as the hours have not changed. This food pantry is at the Shiloh Baptist Church in New Rochelle. Days and Hours: 9:00am – 12:00am. 3rd Saturday of each month. House Of Mercy Mission is a food pantry. . * Make sure you check by calling the food pantry to confirm that they still are in operation and the hours as the hours have not changed. Helping Hands Christian Community Ctr. New Ephesus Baptist Church is a food pantry. . * Make sure you check by calling the food pantry to confirm that they still are in operation and the hours as the hours have not changed. The food pantry is open from 10am - 1pm 2nd and 4th. Friday each month. St. Rocco's Outreach Project Solution is a food pantry. . * Make sure you check by calling the food pantry to confirm that they still are in operation and the hours as the hours have not changed. Pantry hours: 9:30am – 12:30pm Tuesday through Friday. Emergency food to families can be provided during 9am - 3pm. Monday - Friday. Emergencies only for this service. Salvation Army Sunset Park Corp.
Old Mt. Zion Baptist Church More than Foods, Inc.
Quest St. Charles, Youth Services is a food pantry. . * Make sure you check by calling the food pantry to confirm that they still are in operation and the hours as the hours have not changed. Church Women United Food Pantry is a food pantry. . * Make sure you check by calling the food pantry to confirm that they still are in operation and the hours as the hours have not changed. Bay Ridge Community Service Ctr. Do not have an EFP. Clear View's Soul Winning outreach Ministry (SWO) Soup kitchen serves every 4th saturday from 11am until 2pm. Feeding the hungry both phiscally and spiritually. Soup prepared fresh. Bead and baked goods donated by Panera Bread. New Life Missionary Baptist Church is a food pantry. . * Make sure you check by calling the food pantry to confirm that they still are in operation and the hours as the hours have not changed. Oheb Shalom Congregation is a food pantry. . * Make sure you check by calling the food pantry to confirm that they still are in operation and the hours as the hours have not changed. Food Pantry: Friday 10am - Noon Soup Kitchen: Friday 12:00-2:00 P.M.
St. Aloysius Interfaith Food Pantry is a food pantry. Food pantry service hours: Every other Sat 9am- 11am and On Call. . * Make sure you check by calling the food pantry to confirm that they still are in operation and the hours as the hours have not changed. Young Israel of Flatbush Welfare Org. Soup Kitchen: Monday 5:00-6:00 P.M.
Food Pantry: Tuesday 1:00P.M.-2:00 P.M.
Soup Kitchen: Monday, Thursday, and Friday 12:00-1:30 P.M. Food Pantry: Wednesday 7:30-10:00 A.M.
Food Pantry: Thursday 6:00-8:00 P.M., 1st and 3rd Saturday 10:00-12:00 P.M.
Community Food Bank Of New Jersey, Inc.
Catholic Charities Rusty Staub Mobile Food Pantry at Immaculate Conception Church. Pantry Bag Distribution: Tuesday 10 a.m. - 12 p.m. Reaching Out Community Services Inc.
Soup Kitchen: Monday and Thursday 11:00A.M.-1:00 P.M.
Jefferson Park Ministries is a food pantry. . * Make sure you check by calling the food pantry to confirm that they still are in operation and the hours as the hours have not changed. The Foundation A Tax Exempt, Not-For-Profit Corporation, Was Formed To Help People, Primarily, But Not Exclusively Children, Whose Needs Have Been Documented And Who Can Be Helped Through A Combination Of Case Management Services And Limited Financial Assistance. Food Pantry: Tuesday 9:00-10:00 A.M.